There is no eye equal to knowledge, no austerity equal to speaking the truth, no misery equal to attachment and no happiness equal to detachment. 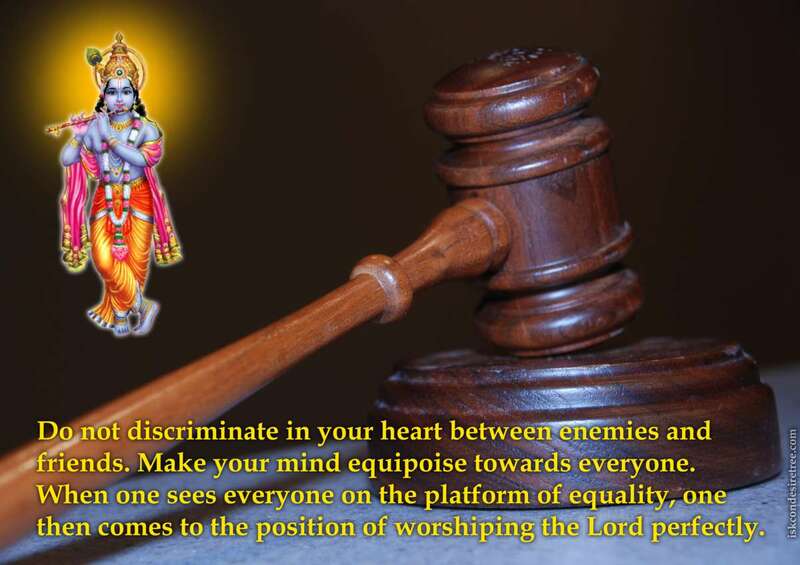 Do not discriminate in your heart between enemies and friends. Make your mind equipoise towards everyone. Except for the uncontrolled and misguided mind, there is no enemy within this world. When one sees everyone on the platform of equality, one then comes to the position of worshiping the Lord perfectly.